Nokia, once the world's top mobile phone maker, will make a comeback on the smartphone market in the first half of 2017, the company and its licensee said Thursday. Nokia, which is now a leading telecom equipment maker, has licenced its brand to HMD Global which is to launch its first Nokia smartphone products early next year. The Finnish company said HMD had received the green light to proceed with production after completing all necessary transactions with its Taiwanese manufacturing partner, FIH Mobile of FoxConn Technology Group, and with US tech giant Microsoft which had bought the unprofitable phone business from Nokia in 2014. 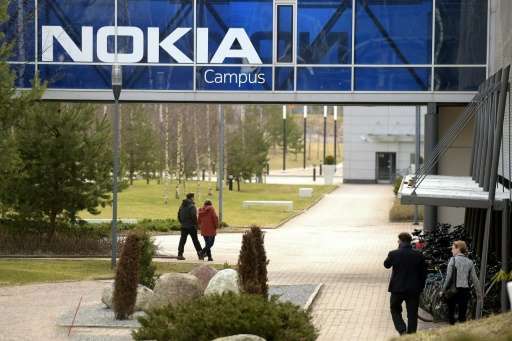 "HMD can begin operations as the new home of Nokia phones, under an exclusive global brand license for the next ten years," excluding Japan, Nokia said in a statement. Microsoft's venture into phone manufacturing cost it $7.2 billion in 2014, but proved short-lived last May, when it said it would sell its feature phone business to HMD Global and FIH Mobile for $350 million (329.4 million euros). Microsoft also decided to end its smartphone manufacturing in Finland, letting go of some 1,350 smartphone makers and former Nokia employees. When Nokia sold its phone business to Microsoft, it agreed not to get back into smartphones until the last quarter of 2016. With the restriction no longer valid next year, HMD can begin making new smartphones under the Nokia brand. "Nokia branded feature phones remain one of the most popular choices of mobile phone in many markets around the world today and HMD will continue to market them... alongside a new range of smartphones and tablets to be announced later by HMD," Nokia said. Nokia is not a shareholder in HMD, but will receive royalty payments for sales of each mobile phone and tablet sold under its brand.